For years local artistes were allegedly hassled as they attempted to perform in the USVI and a stance was made last week to deal with the situation once and for all. However, the approach was not viewed favorably by all performers. The issue arose out of the fact that some local bands scheduled to perform at a night titled ‘BVI Night’ at the USVI festival as a means to promote the upcoming 60th Anniversary festivities on 27 April were denied entry into the USVI. This was said to be the reason for the cancellation of the night. A move that is said to be a solidarity stance by the Virgin Islands Festival Fairs Committee in an attempt to address the bigger issue of entertainment exchange between the two territories. 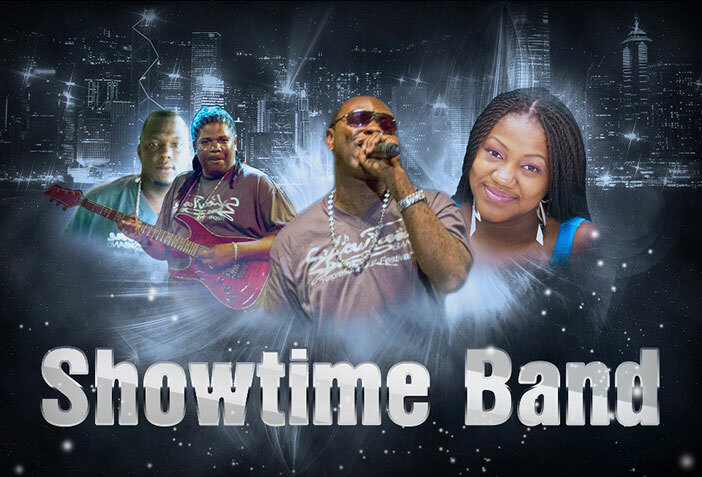 Following a heated facebook discussion, the matter spilled over to ZROD fm on 25 April with host of the Morning Ride Program Paul ‘Gadiethz’ Peart serving as moderator for the discussion, which began with guest of the show Cadafee ‘Boss’ Freeman, lead vocalist of the Showtime Band. Mr. Freeman boldly opined that the announced move of solidarity was a farce and called on the Festival Committee’s cancellation decision to be reconsidered: “The fact that the night is being canceled on the account of solidarity I think it is a mockery of the intelligence of the BVI people, it is a mockery of the intelligence of the US Carnival Committee and all stakeholders as far as the BVI night is concerned…. My take is rather than the Festival Committee misleading the Minister in terms of what was said about solidarity when none of us was hearing anything about solidarity as far as this is concerned….the BVI has over ten bands and …if one Band couldn’t make it, it could have been Showtime, it could have been Final Phase it could have been Lashing Dogs, all that had to be done was replace that band with another one, not cancel the entire night,” he stated. Freeman stated that the cancellation has resulted in an inconvenience for the USVI Festival Committee because a prime weekend night is now without entertainment for them, and he announced that some of the local bands feel obligated to pitch in and help. “We feel obligated that we actually have to go and help out the carnival committee in St Thomas because they are now left with that Sunday night wide open with no entertainment; so as a result three of the bands are going to take it upon themselves to go to St Thomas and not only play; but to play for free to kind of help the relationship between the festival committee,” Freeman announced. Mr. Dirk Walters of the Extreme Band called into the program and explained that his Band as well as Final Phase and Showtime were under special arrangement but explained that the cancellation leaves them slighted: “I was getting paid, I know Showtime and Final Phase were hired initially by the St Thomas Carnival Committee, so this whole thing with these people getting involved they screwed all of us out maybe indirectly. At the end of the day all of us screwed because I had a sure payday then they came up with the bright idea, which is a genuinely good idea to put a BVI night but at the end of the day now they put everybody together, took me from my original job now and now they screwed up this whole thing because of lack of communications, lack of proper dialogue. Now you have bands without a payday, who is going to pay the money for this thing,” Mr. Walters asked. During the radio program Stuart Donovan, an Executive Member of the Festival and Fairs Committee also weighed in on the discussion and explained why the Committee took the stance that it did. Mr. Donovan stressed that the cancellation is about righting a wrong and stated that as far as he knows the matter was still being ironed out as it relates to band clearance. “I made a call on Sunday after trying to find out where was the clearance for these bands. I was informed that two of the bands Extreme and Vibe were flat out denied. There were questions on two other bands — Lashing Dogs and Final Phase. I was speaking directly to Mr. Calendar of the USVI Festival Committee and he said that he had a report where Final Phase recently played in St John and I can go on. The Festival Committee at that time stood in solidarity to finally get to the bottom of this injustice with our bands going over and theirs coming over,” he added. At another instance the artiste said that he was held for three hours and told to pay $600 which he had to avoid his passport being stamped.